+++ Lost Arts Mog ? Home +++ 700+ Titles /60+ Conferences / More on the Way - 2nd Annual X-Conference, No-Nonsense Prophecy Conference, 42nd National UFO Conference, Ancient of Days UFOs and Biblical Abduction Conference o 2nd Annual Exopolitics Expo: The 2005 X-Conference Video Tapes and DVDs, Paradigm Clock, The 2005 XConference, XCon, Xconference, Free Catalog, Book, Video, Audio, DVD, Remote Viewing, Paradigm Research Group, Steven Bassett, American Candidate, UFOs, Ancient Mysteries, Crop Circles, Sacred Geometry, New Science, Ancient Wisdom, MUFON, Mutual UFO Network 2003 Symposium, Mind Control, Free Energy, Anti-Gravity, Electromagnetic Manipulation, Cryptozoology, Big Foot, Neil Freer, Laurence Gardner, Drunvalo Melchizedek, Prudence Calabrese, Tedd St. Rain, Stephen Bassett, Steven Greer, Philip J. Corso Jr., William Birnes, Stanton Friedman, Richard Dolan, Linda Moulton Howe, Richard Hoagland, Nick Pope, William Hamilton, Paul Davids, Grant Cameron, Terry Hansen, Timothy Good, Paola Harris, C.B. Scott Jones, Michael Salla, Bruce Maccabee, Richard Sauder, Robert Wood, Ryan Wood, Peter Robbins, Jim Marrs, Ann Druffel, Stanton Friedman, et al. AAoccdrnig to rscheearch at an Elingsh uinervtisy, it deosn't mttaer in waht oredr the ltteers in a wrod are, the olny iprmoetnt tihng is taht frist and lsat ltteer is at the rghit pclae. The rset can be a toatl mses and you can sitll raed it wouthit porbelm. Tihs is bcuseae we do not raed ervey lteter by itslef but the wrod as a wlohe. Welcome to the Lost Arts Media online catalog. TO DOWNLOAD OUR BOOK/VIDEO/AUDIO CATALOG IN .PDF FORMAT CLICK HERE. (Save it to your hard drive and print it out (72 pages)). Visit one of our new THEME SITES, and feel free to visit our NEW FREE VIDEO ARCHIVE (follow the video archive link). TO DOWNLOAD OUR DVD/VIDEO/AUDIO CATALOG IN .PDF FORMAT CLICK HERE. (Save it to hard drive and print (61 pages)). TO READ OUR FREE ONLINE BOOK MYSTERY OF AMERICA - Book 1: ENIGMATIC MYSTERIES AND ANOMALOUS ARTIFACTS OF NORTH AMERICA (see below to order the paperback version) that was presented at the July 2003 MUFON International UFO Symposium CLICK HERE. LOST ARTS MEDIA publishes, markets and distributes a variety of products and services. Our mission is to provide fascinating and educational books, videos and mutlimedia products to help inform, enlighten and inspire humanity at large. We specialize in bringing rare and classic books back into print. We are also involved in document research, video production, e-books, DVD authoring, broadcasting, screenwriting, conference promotion, online services, amongst many other creative endeavors. We want to thank you for your interest, and look forward to receiving your order. We accept checks, money orders and VISA and MASTERCARD. For more information call us at 1 (562) 427-ARTS, or visit our website at www.lostartsmedia.com, or you can EMAIL US or write Lost Arts Media, PO Box 15026, Long Beach, CA 90815-0026. Watch for our new multiple-gigabyte LEARNING ARCHIVE project, coming soon. IF YOU HAVE UNUSED WEB SPACE/BANDWIDTH ON A SERVER, please EMAIL US if you could kindly host some file archives. The Nikola Tesla archives and FREE VIDEO ARCHIVE are ONLINE, but we need several hundred megs of storage for similar files. We are in the process of establishing a 501(c)3 Non-Profit Charitable Foundation for these projects, but in the meantime, support for these endeavors comes from purchases made on this website. Thanks! TO DOWNLOAD OUR BOOK/VIDEO/AUDIO CATALOG IN .PDF FORMAT CLICK HERE. (Save it to your hard drive and print it out (61 pages)). Our best-sellers listed below, individual tapes can be found listed in the column to the left. MYSTERY OF AMERICA - BOOK 1: ENIGMATIC MYSTERIES AND ANOMALOUS ARTIFACTS OF NORTH AMERICA - A CONNECTION TO THE ANCIENT PAST, a book by Tédd St. Rain. Mysterious and often inexplicable remnants of civilization's history fascinate scientists and archaeologists. People travel worldwide to visit such sites, yet some of the most enigmatic artifacts and structures have been found right here in North America. Unfortunately, because these records do not fit within accepted academic models of human history, they remain unexplained mysteries, and most people never hear of them.  Long before any humans were supposed to be on this continent, unknown hands removed millions of pounds of copper from mines near Lake Superior.  Giant people as tall as 12 feet were buried in Arizona, Nevada and the Midwest.  Sandaled feet made footprints in rock at least 300 million years old in Utah.  A human-like tooth,three times normal size, was found in coal from a Montana mine. According to modern wisdom, humans evolved on Earth no earlier than two million years ago. Yet many of these artifacts were made long before then. How can this be? Could any of these anomalies have been the result of an advanced civilization once present on our planet? l History, Novelty Books, Occult This book presents the evidence that there have been intelligent beings on earth long before humans are thought to have evolved here. Explore these intriguing possibilities and more in this exciting and informative investigation into the mysteries and anomalous artifacts of North America. Tedd St. Rain, author, lecturer, and videographer, he has traveled the world extensively investigating the worlds ancient mysteries and enigmas, actively researching the mysterious, the metaphysical and the mythical. Born in Long Beach, California, Tedd is the owner of Lost Arts Media that publishes, markets and distributes fascinating and educational books, videos and multimedia products to help inform, enlighten and inspire humanity. REMOTE VIEWING TRAINING SESSIONS, with Prudence Calabrese and Transdimensional Systems. ONGOING 2006 - The Business Spirit Journal and The Message Company produce several spiritual and consciousness-related conferences each year. Upcoming Conferences Include the International Consciousness Conferences, the International Science and Consciousness Conference, and the International Sound Healing Conference. For information visit www.bizspirit.com or call 1 (505) 474-0998. FEBRUARY 2006 - The Seattle Museum of the Mysteries produces an annual event in the pacific northwest.. For more information or a program guide visit www.SeattleChatClub.com or call 1 (206) 328-6499. FEBRUARY 2006 - The Stargate Mystery School produces various conferences and tours throughout the year. For more information or a program guide visit www.StargateMysterySchool.com or call 1 (808) 222-2453. ONGOING- MAR, APR, MAY, JUN, JUL, AUG, SEP, OCT, NOV, 2006 - The Body, Mind and Spirit Expo: Where America Explores the New Age is an ongoing nationwide conference series. Coming to a city near you: Charlotte, NC; Virginia Beach, VA; Indianapolis, IN; Portland, OR; Phoenix, AZ; Long Beach, CA; Grand Rapids, WI; West Palm Beach, FL; Melbourne, FL; Orlando, FL; Van Nuys, CA; Atlanta, GA; Riverside, CA; Nashville, TN; Chicago, IL; San Mateo, CA; San Jose, CA; Raleigh, SC; Pasadena, CA; San Diego, CA; Kansas City, KS; Orange County, CA; Austin, TX; Houston, TX; New Orleans, LA; Seattle, WA; Richmond, VA; Greenboro, SC, Sacramento, CA; and many more. For more information visit www.bmse.net or call 1 (541) 482-3722. MAY 2006 - Adventures Unlimited holds its World Explorers Club Ancient Mysteries Conference and conducts travel tours worldwide several times a year. For more information or a program guide and a free book catalog visit www.wexclub.com or call 1 (815) 253-6390. MAY 2006 - The 4th annual McMinnville UFO Fest convenes in McMinnville, Oregon each year. For information visit www.ufofest.com or call 1 (503) 472-8427. JULY, 2006 - The American Psychotronics Association holds it annual conference in the midwest each year. For information visit www.psychotronics.org or call 1 (262) 742-4790. AUGUST 2006 - Join the UFO Watch and Conference in Hooper, Colorado. For more information visit www.seekufos.com or call 1 (719) 378-2271. SEPTEMBER 2006 - The Bay Area UFO Expo and Conference holds an annual conference in the fall each year. For information and a free program guide visit www.thebayareaufoexpo.com or call 1 (209) 836-4281. SEPTEMBER 2006 - Midwest Ghost Conference. Contact me at the above email for details. SEPTEMBER 2006 - The Institute for Noetic Sciences holds it annual conference in the fall each year. This year it's in Palm Springs. For more information visit www.noetic.org or call 1 (707) 775-3500. OCTOBER 2006 - The Universal Light Expo holds it's annual conference in the midwest each year. For more information visit www.universeexpo.com or call 1 (423) 735-0848. SEPTEMBER 2006 - The Cancer Control Society holds it annual conference in the fall each year in the Los Angeles area. This year's 31st annual conference is in Universal City. For more information visit www.cancercontrolsociety.com or call 1 (323) 663-7801. OCTOBER 2006 - The American Massage Therapy Association holds several conferences nationwide each year. Their 60th annual national conference is in Richmond, Virginia this year. For more information visit www.amtamassage.org or call 1 (847) 864-0123 x 143. NOVEMBER 2006 - The Integrity Research Institute holds a free energy / new technology conference every year on the East coast. This year's Tesla Engergy Conference and Expo will convene in Maryland. We'll be there taping and doing onsite video and DVD. For more information visit www.integrityresearchinstitute .org or call 1 (???) 555-1212. NOVEMBER 2006 - The UFO Crash Retrival conference in Las Vegas, NV. For more information visit www.majesticdocuments.com or call 1 (???) 555-1212. NOVEMBER 2006 - FortFest 2003 in Baltimore, MD. Email fortfest99@yahoo.com For more information visit www.?? ?.com or call 1 (???) 555-1212. FEBRUARY 2006 - The International UFO Congress holds a twice-yearly, week long conference and film festival on UFOs and a variety of other subjects. People attend from around the world and it is considered the best conference of its kind. For additional information visit www.ufocongress.com or call 1 (303) 543-9443. MARCH 2006 - The Aztec UFO Symposium is held once a year in the early spring in Aztec, NM, location of a famed UFO crash. For information visit www.aztecufo.com or call 1 (505) 334-9890. APRIL, 2006 - The Ozark UFO conference convenes each year in Kentucky. For information visit www.ozarkufo.iwarp.com or call 1 (501) 354-2558. APRIL 22-24, 2006 - 2nd Annual Expopolitics Expo, Washington D.C. North / Gaithersburg Hilton For information visit www.x-conference.com or call 1 (555) 555-5555. APRIL 2006 - The New Living Expo is held twice a year in the San Francisco Bay Area. 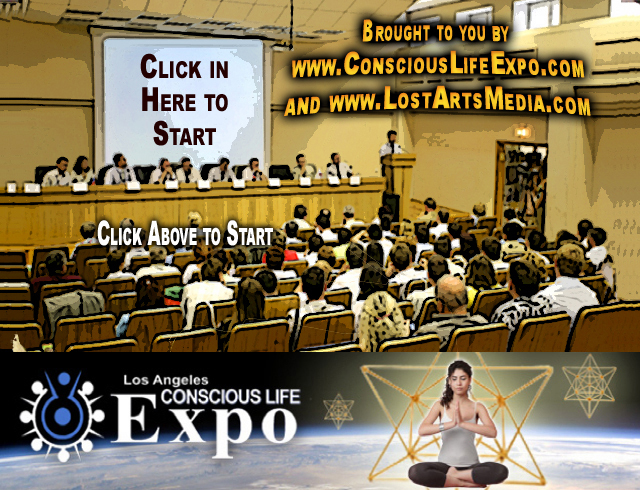 For information visit www.newlivingexpo.com or call 1 (415) 382-8300. To place your order load one of the individual pages VIDEO TAPES, AUDIO TAPES, BOOKS and RESEARCH ARCHIVE and use the PayPal shopping cart or pay for individual items and add $4.00 shipping and handling for the first item and $1.00 for each additional item, audios add $0.50 for each additional. Call or EMAIL US at LOSTARTSMEDIA@YAHOO.COM for more information on shipping, payment options or questions about an order. Send your check or money order to (CA residents add 8.25% sales tax): LOST ARTS MEDIA, POST OFFICE BOX 15026, LONG BEACH, CA 90815 . For more information visit WWW.LOSTARTSMEDIA.COM or to order by credit card call 1 (562) 427-ARTS.